mobile app - Vensi, Inc. Almost all companies are reaping the benefits of having mobile apps in their business activities like sales, marketing and communication with customers. Mobile apps are increasing in popularity every moment. If a company still does not have a mobile app yet, they are missing out on potential customers. If a company already has a mobile app or mobile friendly website, that helps companies reach wider audience. The increasing popularity of mobile apps in response to mobile devices becoming a part of our day-to-day life. A company’s mobile app continuously advertises their brand, by showing their logo on the apps screen. Apps should not consistently be trying to sell a product, it should have other useful and enticing features too. Apps can share knowledge, relevant articles to users to help find useful information, even when they don’t want to purchase your products or services. Be sure that all the app features are relevant to your company. Example: For health care product business, post health tips, if you are in retail business then post about exclusive offers and new products. The best way to keep mobile users coming back is by making the app faster and simple to use. If it takes too long to load, the user probably will uninstall the app. Also consider intuitive navigation, easy to read fonts, and a clean design. Make sure the app is branded as much as possible: have the entire app use colors that match your logo and brand. The ‘SHARE’ icon is a must in mobile app, it is an easy way to explore your company’s products and services that can enhance the traffic and reach more customers. Over the ages we have seen that sales promotion trends have evolved from giving out free demos and offers to new customers, which can attract more customers. Push Notifications: Can be used to send all of your offers and discounts, like best deals and seasonal offers can effectively be communicated to your customers. Real time updates: Mobile app allows customers to read the content of products & services or offers, so that you can use the mobile app to send updates to the customers with accurate information about a business activity, expansions, new launches and etc. Accept & respond to feedback creates social brand ambassadors for your brand. Use automated customer support tools to makes it easy to get to the right information quickly. 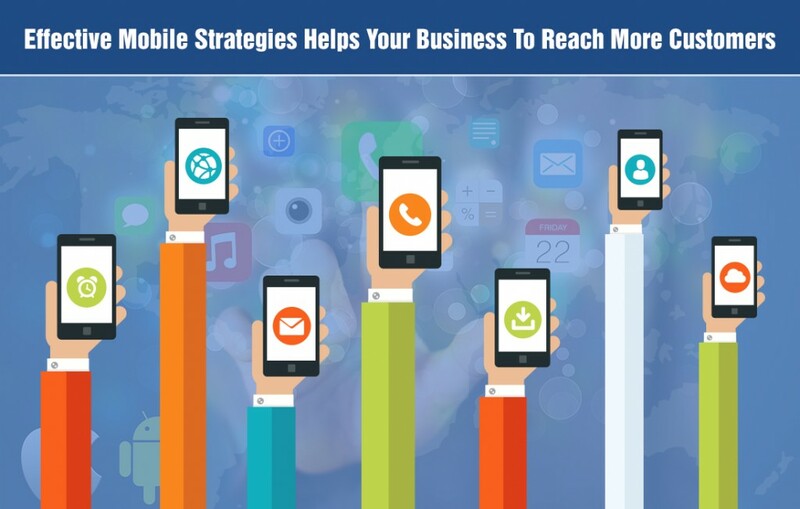 These effective mobile strategies involves more than just a mobile-friendly website. In case your company does not have its own mobile app, we at Vensi will help you out in building your own mobile platform to get more benefits that helps your business to reach more customers. Most organizations have a mobile app for a specific goal and with a strong concept. A mobile app shouldn’t be merely treated as the extension of a website, it is the best place to market and offer something integrally valuable to users. A mobile app will provide the great opportunity for users to use business services from anytime in the palms of their hand for as long as 24/7. The main goal of a mobile app doesn’t solely depend on the downloads, a number of users and screen views and long-time usage. The optimizing user experience on an app helps to engage customers and that surely adds value to mobile apps and keep your users engaged. 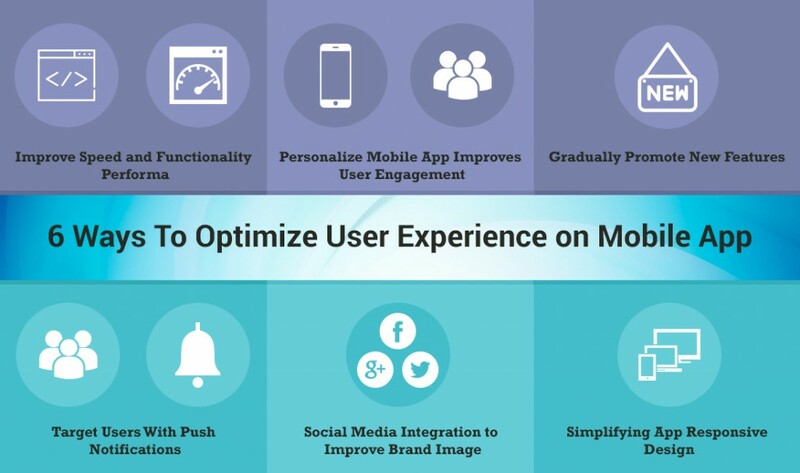 Look at the 6 ways to optimize user experience and features on a mobile app. 1. Improve Speed, Functionality & Performance: No one likes to use slow mobile apps, because time is precious for everyone. There are huge mobile apps to choose from in the marketplace, a quick and responsive mobile app provide a competitive advantage in the market and plays a major role in retaining users. If your mobile app is not ready to open and unable to start functioning within a couple of seconds, you must optimize your mobile app immediately to enhance those statistics. Preload data helps to decrease time to wait while starting the routine functionalities and speeds up the process of an activity. Heavy graphics will slow down your mobile app, developers can optimize the app by getting rid of any lag by adjusting resolution or size. Loading fewer templates makes a mobile app function quicker, so reuse the templates instead of reloading the same template repeatedly. If the user works faster on your mobile app, it builds confidence and trust to use the app for longer periods. 2. Personalized Mobile App Improves User Engagement: Personalization is the key to retaining long-term users, it impacts directly to user engagement for any business. 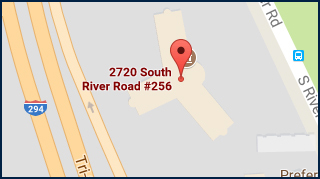 User feedback, suggestions, and complaints can easily reach out to you. Adding a chat feature is a great way to communicate with users in real-time. Setup automated text messages and push notifications based on user behaviors offer more services and show a great impact on user engagement. 3. Gradually Promote New Features: Releasing huge number of features to users use as soon as they open the mobile app is not a good idea at all. Some of the companies make this mistake as they try to tempt users to buy new products and services, but it usually does not works and can annoy users may not continue by seeing too many features at once. Introduce different features in phases: Introduce different features in different phases app usage, like email push notifications if user wants to remind on particular products or services, integration with other tools if a user use export-import features and even shortcuts if user uses frequently, such can provide high results to user focus on mobile app and how it works. The App must be upgraded constantly to improve the performance, avoid crashes and fix bugs if any. 4. Target Users With Push Notifications: Push notifications are just like short messages sent to mobile app users from within the app. Providing relevant information or reminding them on activity even when the app is not being used is a great feature to engage users. It is the best tool to re-engage users, get them geared up for an update, new features and much more, to help them to utilize your products and services. 5. Social Media Integration to Improve Brand Image: Encouraging customers to share app activities on social networking sites like Twitter, Facebook, and Instagram etc. are great ways to convert users into your company brand ambassadors and that helps to grow of organic users. Social media is also a great tool to communicate with users like chat and share knowledge, it makes people closer. 6. Simplifying App Responsive Design: Entering user details such as name, address and credit card details are more difficult on mobile devices, if you compare to a desktop. So, focus on responsive design by shortening clip titles and adjust pixel width, considering layout and purpose before designing a mobile form would be easy for users to use and enter details. We at Vensi has the team of strategists, analysts, designers, and developers, develop the unique mobile app solutions, that can create progressive ideas and translate them into engaging, intelligent and innovative user experiences. 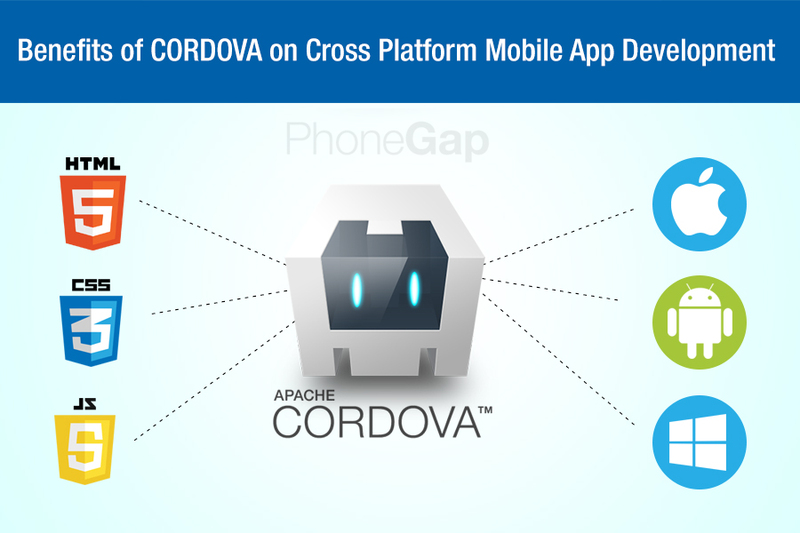 Adobe’s Apache Cordova(Formally PhoneGap) is an amazing cross-platform framework. It lets business owners and developers dominate in the development of all mobile platforms with a single set of code. It is an open source mobile development framework and it helps in building powerful cross-platform mobile applications that run perfectly on multiple mobile platforms like iOS, Android, Windows and more. Cost Effective Development: Apache Cordova is a cost effective technology to build a mobile app in that it leverages high quality and multiple sets of features as well as providing the tools required to reduce development time. Once a developer build the Apache Cordova application, then it can deploy it everywhere and submit it to all of the platforms. So, you can save a lot of development money, efforts and time by not building the native apps using different programming language for each platform. Apache Cordova Plugins: Apache Cordova plugins are an extensive feature. It supports a model of plug-in architecture that allows the developers to extend more functionalities of an application. Its extensive architecture helps you to utilize native features, full potential of the phone device and it provides the feature to access the cloud service. This is so, that you can push the technology notifications with enhancements, tutorials and examples. The obvious benefits of Apache Cordova applications is that it uses less and more simple code, which iterate faster. It is profitable for all the business owners because less effort is required to develop an application to work across all mobile platforms. PhoneGap is the most popular technology to develop a code extensive mobile application with tremendous features and great framework. Be sure to check out our blog or our BlueApp blog for more tech news.